Nearly 9,000 homes and business still lacked electricity late Saturday afternoon after a nor'easter swept through the state on Thursday and Friday. 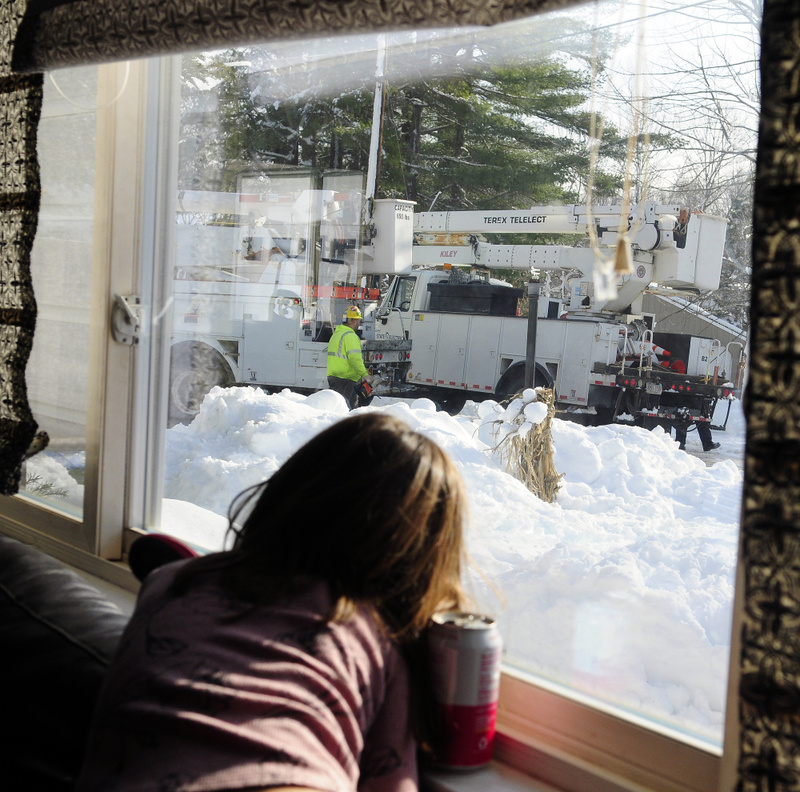 It hasn’t been the easiest couple of days on Easy Street, a quiet residential road in Farmingdale that was one of many Maine neighborhoods left without power after a snowstorm swept through the state late Thursday. “Everybody lost a limb on Easy Street,” said Dotti Prescott, who on Saturday morning was helping her son-in-law, Keith Sylvester, clear a large maple branch that had fallen early Friday morning, nearly taking down the wire that supplies electricity to her home. Though that line didn’t fall in the storm, Prescott’s home did lose power. Without a generator for power or a wood stove for heat, she said the temperature in her home was 47 degrees when she woke Saturday. “I hope my pipes don’t freeze,” she said, adding that she also would like the power to come back in time for her to shower and go out with friends for a New Year’s Eve dinner. On Saturday, parts of Kennebec County were alive with the sound of generators and the sight of utility crews from Maine and beyond working to clear downed branches, replace felled wires and bring back electricity ahead of 2017. For those still without heat or power, warming shelters were open at the Litchfield Fire Station, the Alna Fire Department, the Cumberland Town Hall and the North Yarmouth Fire Station. 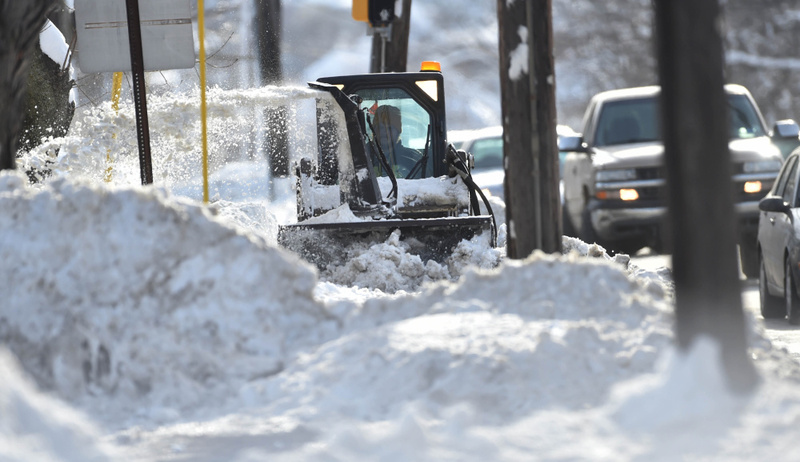 By the afternoon, nearly 9,000 Maine homes and businesses were still without power in the wake of the state’s first major snowstorm of the winter, which dumped 1 to 2 feet in some parts of the state. 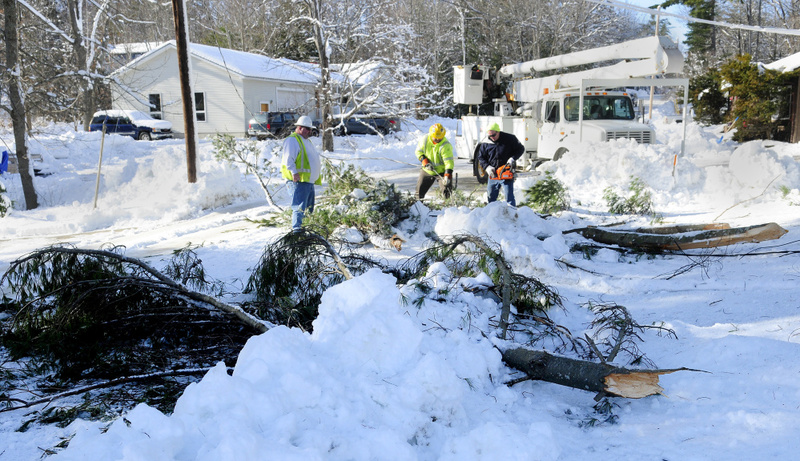 At the storm’s peak, more than 100,000 Maine homes and businesses were without electricity. Central Maine Power Co. reported outages affecting 7,517 customers as of 4 p.m., including 2,185 in Kennebec County and 2,310 in Cumberland County. CMP spokeswoman Gail Rice said the electric utility expected most customers to have their power restored by late Saturday night, although a few might have to wait until Sunday. The storm Thursday and Friday brought heavy snow, powerful wind and even thunder and lightning to northern New England. According to Rice, the heaviest damage in CMP’s coverage area was in a broad band parallel to the coast, including large portions of Androscoggin, Cumberland, Kennebec, Sagadahoc and Waldo counties. The response was more challenging because of poor driving conditions on secondary roads and deep snowbanks, Rice said. On Saturday, some in Kennebec County were just digging out. David Betts, of Bucksport, was with his granddaughters at their home on Easy Street in Farmingdale, while their mother, a nurse, was at work. Their home was one of at least 400 in Farmingdale that was without power early Saturday, according to CMP’s online reporting system. One of Bett’s granddaughters, 12-year-old Ella Schaab, was hoping it would return in time for the New Year’s Eve get-together she was planning with friends. The family was using a wood stove to stay warm, but 14-year-old Aspen Schaab said the heat did not reach her and her mother’s rooms in the back of their home. 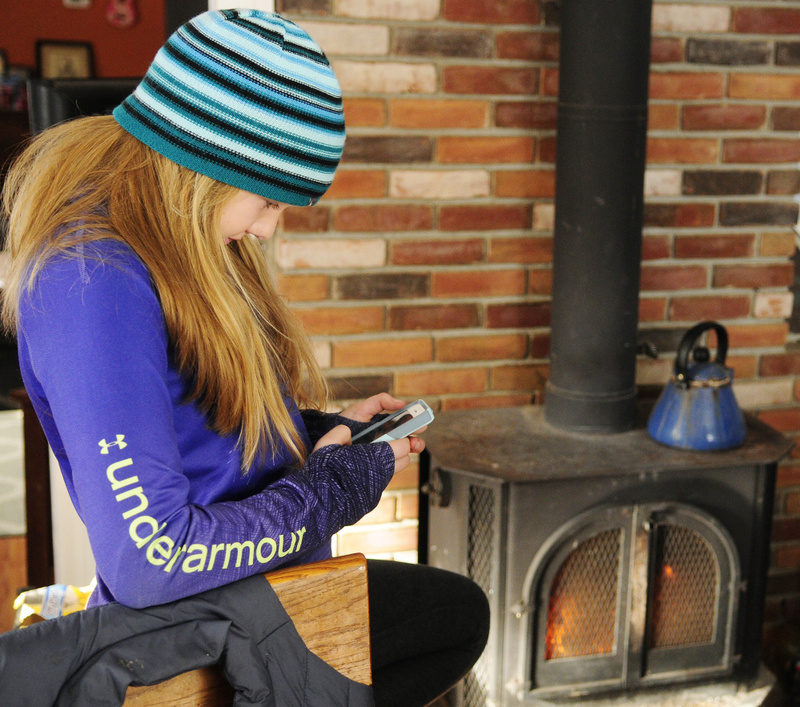 Without internet, they had been using their smartphones to surf the web. They charged the phones using their cars and eventually used all the data on their plans, Betts said. 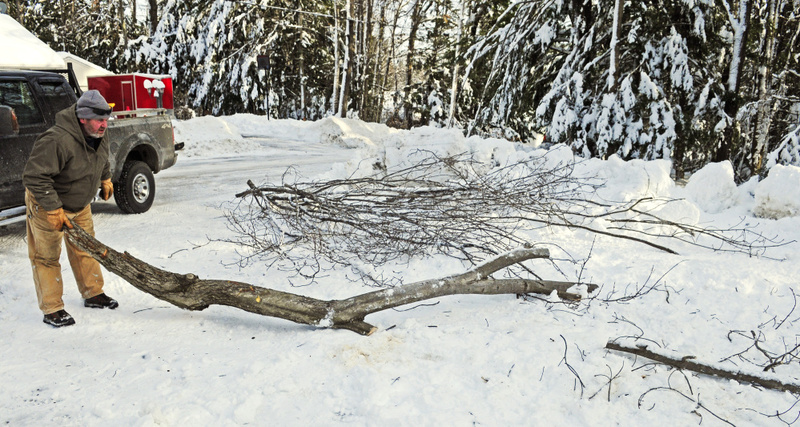 Soon, though, a utility crew that had come up to Maine from Massachusetts removed the branch. By 4:07 p.m., CMP reported that just 31 Farmingdale customers remained without power. 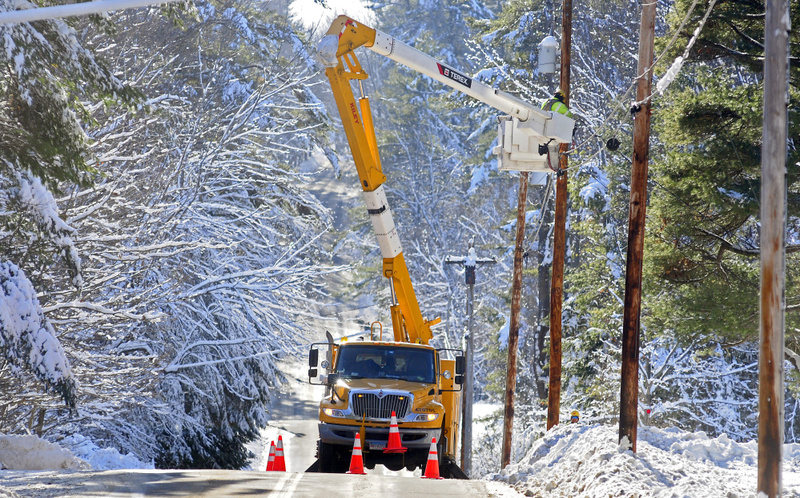 Many areas in Kennebec County had their power restored by Saturday afternoon. In the Fairfield division, 8,000 customers originally reported outages related to the storm, but that number was down to 740, with just 25 outages still reported in Waterville, according to Rice. 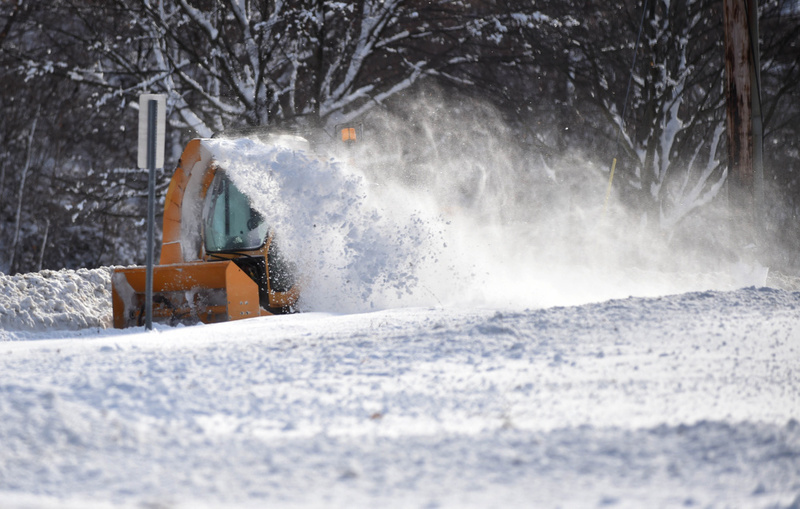 In preparation for the storm, CMP deployed 259 line crews, including 166 contractor crews from Maine, Quebec, New Brunswick, Connecticut and New York, throughout the state Thursday night. 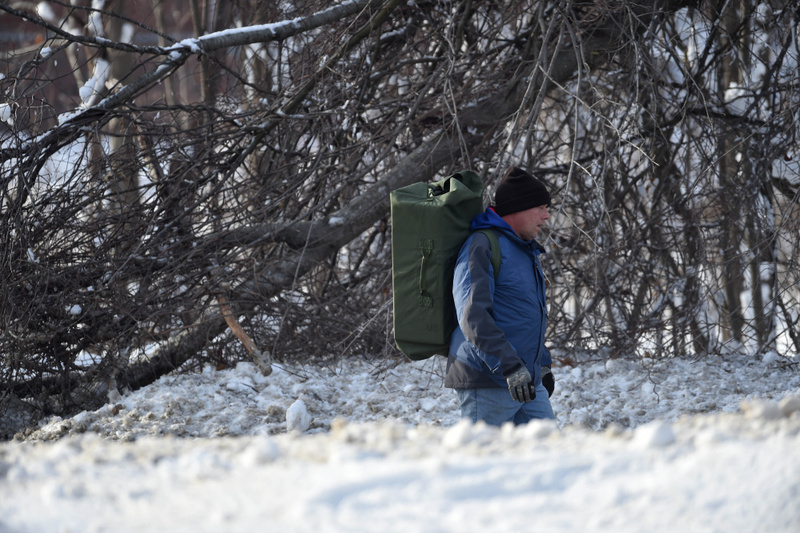 Despite higher snow accumulations than predicted in southern and coastal areas of the state, Rice said CMP was adequately prepared for the cleanup. The towns with the greatest number of CMP customers without power in Kennebec County as of 4:30 p.m were Litchfield (857) and West Gardiner (521). One Litchfield woman, Clover Craig, made lemonade out of the power outage at her home on Libby Road. To stay busy, she had taken her son and daughter to shovel snow at places around town, including the Litchfield Sportsmen’s Club and Litchfield Community Christian Church. But the family’s generator had broken that morning, Craig added. Staff writer Colin Ellis, the Portland Press Herald and The Associated Press contributed to this report.